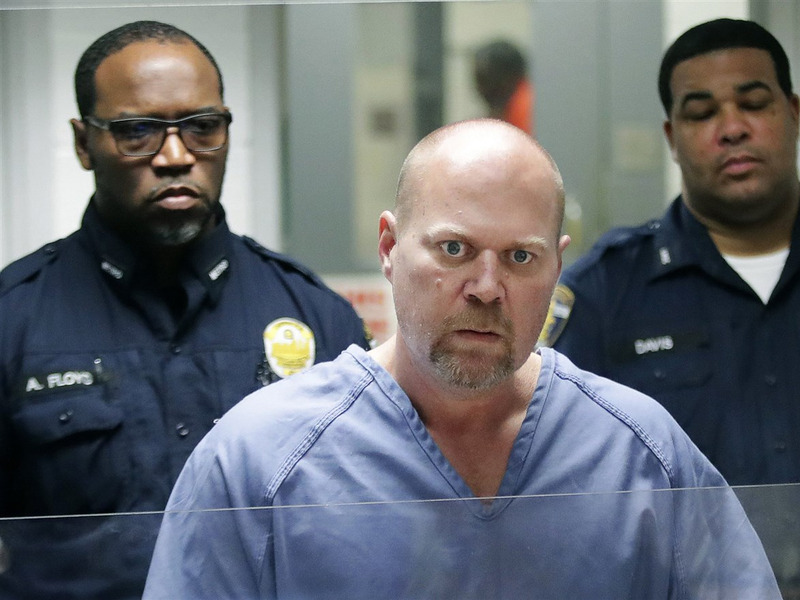 The suspected gunman accused of killing two black people at a Kroger supermarket in Jeffersontown, Kentucky, on Wednesday attempted to enter a predominantly black church minutes before the attack. Surveillance video at the nearby First Baptist Church showed Gregory Bush, a 51-year-old white man from nearby Louisville, unsuccessfully trying to pry open the church’s front doors. The suspected gunman who killed two black people during a shooting spree at a Kroger supermarket in Jeffersontown, Kentucky, on Wednesday reportedly tried to enter a black church minutes earlier, The New York Times reported Thursday. Gregory Bush, a 51-year-old white man from Louisville, Kentucky, was arraigned on Thursday on charges of murder in the deaths of Vickie Lee Jones, 67, and Maurice E. Stallard, 69, in addition to 10 counts of wanton endangerment.